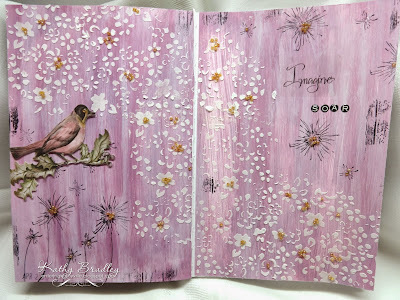 ENTERING KATHYVILLE: Journal Pages - Pink Again!! Not sure what is going on with the pink lately. I've always liked pink - but blue is my primary favorite and I've been doing so many pieces with pink - I think my sweet friend, Shirley, who loves pink - must have been sending pink vibes to me! 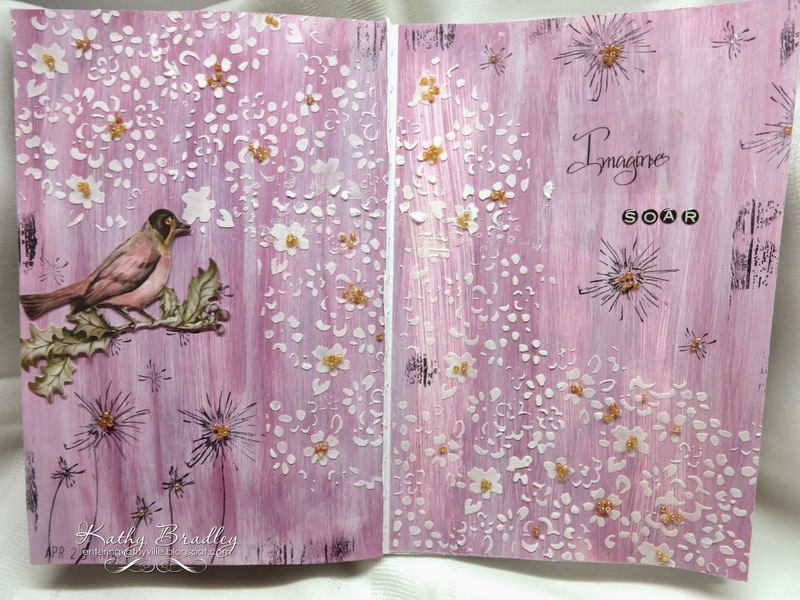 So, just a few more journal pages - using texture paste, stamps and some plum glass beads scattered around the page. Lovely!! Personally I prefer pinks over blues and this looks gorgeous! !